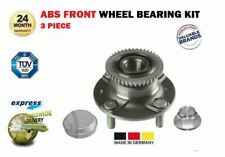 BWK103 BORG & BECK WHEEL BEARING KIT fits Kia, Mazda - Rear NEW O.E SPEC! BWK1153 BORG & BECK WHEEL BEARING KIT fits Ford Fiesta NEW O.E SPEC! 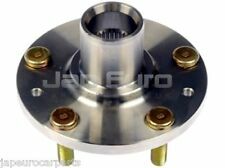 REAR WHEEL AXLE BEARING HUB (JE10385) - QTY:1. Mazda - CX-7 - ER [2006-2015] SUV - 2260ccm 247HP 182KW (Petrol). Mazda - CX-7 - ER [2006-2017] SUV - 2184ccm 163HP 120KW (Diesel). Mazda - CX-7 - ER [2006-2017] SUV - 2261ccm 260HP 191KW (Petrol). REAR WHEEL AXLE BEARING HUB (JE10090) - QTY:1. Mazda - CX-7 - ER [2006-2015] SUV - 2260ccm 247HP 182KW (Petrol). Mazda - CX-7 - ER [2006-2016] SUV - 2261ccm 238HP 175KW (Petrol). Mazda - CX-7 - ER [2006-2016] SUV - 2261ccm 248HP 182KW (Petrol). 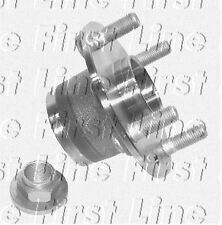 FRONT WHEEL AXLE HUB (JE10926) - QTY:1. Any claims after 24 hours will be dismissed for a claim. Failure to do so will delay your order. REAR WHEEL BEARING HUB x1. 2.3 4WD SUV 16v DOHC. 2.2 MZR-CD 4WD. You are purchasing 1 Rear Wheel Bearing Hub. HS (All), IV41 to IV49, IV51, 55 & 56, KA27 & 28, KW15 to KW17, PA20, PA41to PA49, PA60 to PA78, PH42 to PH44, ZE (All), Isle of Man (IM), Channel Islands. Mazda - Demio - DW [1998-2003] Estate - 1324ccm 63HP 46KW (Petrol). Mazda - Demio - DW [1998-2003] Estate - 1324ccm 72HP 53KW (Petrol). Mazda - Demio - DW [1998-2003] Estate - 1498ccm 75HP 55KW (Petrol). FRONT WHEEL BEARING 42X80X45 (JE41350) - QTY:1. Product Warranty. WARRANTY 12 MONTHS. Any claims after 24 hours will be dismissed for a claim. Failure to do so will delay your order. 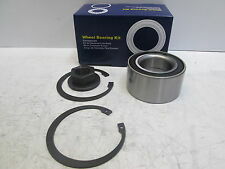 Wheel Bearing Kit (JE07286) - QTY:1. Highlands, Islands and Ireland such as the following AB31 TO AB56, ON, BT, GY, HS, IM, IV, JE, KW, PA20 TO PA78 AND ON., PH, PO, ZE as well as any OFF SHORE ISLANDS. 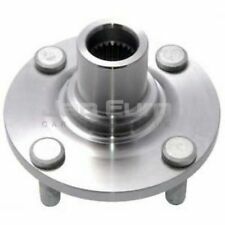 Wheel Bearing Hub- Front (JE11010) - QTY:1. Highlands, Islands and Ireland such as the following AB31 TO AB56, ON, BT, GY, HS, IM, IV, JE, KW, PA20 TO PA78 AND ON., PH, PO, ZE as well as any OFF SHORE ISLANDS. FRONT WHEEL BEARING 42X80X45 (JE41350) - QTY:1. Highlands, Islands and Ireland such as the following AB31 TO AB56, ON, BT, GY, HS, IM, IV, JE, KW, PA20 TO PA78 AND ON., PH, PO, ZE as well as any OFF SHORE ISLANDS. Failure to do so will delay your order. Any claims after 24 hours will be dismissed for a claim. Highlands, Islands and Ireland such as the following AB31 TO AB56, ON, BT, GY, HS, IM, IV, JE, KW, PA20 TO PA78 AND ON. FRONT WHEEL BEARING 42X80X45 (JE41350) - QTY:1. Any claims after 24 hours will be dismissed for a claim. Failure to do so will delay your order. 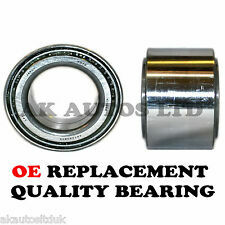 Front Wheel Bearing Kit (JE09045) - QTY:1. Highlands, Islands and Ireland such as the following AB31 TO AB56, ON, BT, GY, HS, IM, IV, JE, KW, PA20 TO PA78 AND ON., PH, PO, ZE as well as any OFF SHORE ISLANDS. Cruceta cardan 25x40 con engrasador en un dado equivalente a NISSAN PICK UP (D21) 2.4 I 12V 04.92-02.98 124CV. NISSAN PICK UP (D21) 2.4 I 12V 4WD 04.92-02.98 124CV. NISSAN PICK UP (D21) 2.5 D 08.87-02.98 80CV. Cruceta cardan para transmisiones cardan mazda equivalentes a referencias Equiv. : - MAZDA. 01757-25-060, 1757-89-251, 8BS1-25-060, N090-89-251, ON010-25-060A. MAZDA MX-5. all models from 1989 to 2005. to service two wheels. Can't find what you're looking for?. Looking to place a bulk order?. to fit the following vehicles Available at checkout for £3.99. Part No : ADM58337. MAZDA 2 2007-15 1.3i H/b - MZR FWD 5 MTM ZJ06/7 DE J/K Hub Assembly 09/07>. MAZDA 2 2007-15 1.4DT H/b - CRDi FWD 5 MTM Y404 DE 4 Hub Assembly 10/07>. MAZDA 2 2007-15 1.5i H/b - MZR Sport FWD 5 MTM ATM ZY05/6 DE 5 Hub Assembly 09/07>. 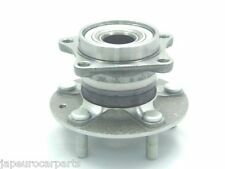 REAR WHEEL BEARING HUB for MAZDA 2 2007-2014 D651-26-15XEAJSKLT-MZ-047. Mazda 2 1.3 55KW 75HP 2007.10 - 2015.06. Mazda 2 1.3 63KW 86HP 2007.10 - 2015.06. Mazda 2 1.3 MZR 62KW 84HP 2010.01 - 2015.06. Mazda 2 1.4 MZR-CD 50KW 68HP 2008.01 - 2015.06. Essex Rotary Select Clutch Release Bearing for RX-7 FD3s. You are looking at a high quality clutch release bearing to fit your 3rd Generation Mazda RX-7 FD3s. 1991-2002 Mazda RX-7 FD3s Only (running standard Pull Type Clutches). MX5 MK2 / MK2.5. MX5 New & Used Parts. MX5 MK3 / MK3.5. High OEM Specification. Fits either left hand side or right hand side of the vehicle. 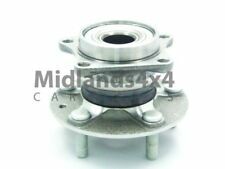 Mazda MX5 MK3 1.8 & 2.0 Front Hub & Wheel Bearing Kit (High OEM Spec.). MX5 MK3 / MK3.5. MX5 MK2 / MK2.5. MX5 New & Used Parts. Complete with hub, studs and bearing. High OEM Specification. 3 HATCH (BK14). 3 SALOON (BK12). Crankshaft Pulley. Anti Roll Bar link. Oil Sump Pan. Lower Ball. AB31to>38, AB43to>56, BT>ALL, FK19to>21, IM>ALL, IV>ALL. NEW WHEEL BEARING AND HUB. MAZDA MX-5 Mk 3 (NC). from 2005 to 2015. Can't find what you're looking for?. Looking to place a bulk order?. to fit the following vehicles Available at checkout for £3.99. MX5 MK3 / MK3.5. MX5 New & Used Parts. MX5 MK2 / MK2.5. High OEM Specification. Fits either left hand side or right hand side of the vehicle. Clutch release bearing, genuine Mazda MX-5 1989-2005, B62216510. This is a genuine Mazda Japanese bearing. Ensure you have the VEHICLE VIN NUMBER at hand as well as all the car details you can provide. We will work to resolve any. issues and assist in anyway that we can. REAR WHEEL BEARING. AND MAKE SURE THE ITEM IS IDENTICAL TO THE ORIGINAL ONE. WITH SEAL, LOCK RING AND NUT. FITTING: REAR LEFT OR RIGHT. WIDTH: 40 mm. CHECK SPECIFICATION. BP-ZE; BPD. 11.00 - 10.05. Position on Vehicle: Rear Wheel Bearing Kit Pair. Vehicle: Mazda. Year: 12/2007-04/2013. You can use us for headlights, rear lights, door mirrors, mirror glass and covers as well as a constantly developing range of performance lighting. Part No : ADM58239. MAZDA RX8 1.3i Coupe RWD 5/6 MTM 13B FE1/SE1 Hub Assembly 04/08>. MAZDA RX8 1.3i Coupe RWD 5/6 MTM ATM 13B SE3P With Electronic Stability System 02/08>NULL. Fitting Position : -. Wheel Bearing - Manufactured by PFI Perfect Fit Industries USA (ISO9001). It is your responsibility to evaluate the accuracy, completeness or usefulness of any information available on or from this Site and to seek professional advice where appropriate. AB31 TO AB56, ON, BT, GY, HS, IM, IV, JE, KW, PA20 TO PA78 AND ON., PH, PO, ZE as well as any OFF SHORE ISLANDS. Crankshaft Pulley. CV Joints / Boot Kits. Wiper Blades / Kits / Arms. Crank / Camshaft Sensor. Bearing Type Angular Ball Bearing. Function Wheel Bearing Kit. with wheel hub and ABS sensor ring. MAZDA F1513304X. MAZDA RX-8 (SE, FE) 1.3 Coupe Petrol 10/2003 06/2012 RWD 2 210 154. MAZDA RX-8 (SE, FE) 1.3 Coupe Petrol 10/2003 06/2012 RWD 2 205 151. Crankshaft Pulley. 6 SPORT (GH). 6 SPORT ESTATE (GH). Anti Roll Bar link. 6 SALOON (GG). Oil Sump Pan. Lower Ball. Wheel Hubs and Bearings. Premacy 1.8. Premacy 2.0. Hub bearing kit to fit the following vehicle ranges. Wheel Bearing Kit. Crankshaft Pulley. CV Joints / Boot Kits. Wiper Blades / Kits / Arms. Crank / Camshaft Sensor. Head Gasket & Sets. STABILISER / ANTIROLL BAR LINK. 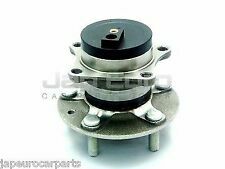 FOR JEEP CHEROKEE LIBERTY KJ CRD FRONT WHEEL BEARING HUB ASSEMBLY KIT ABS SENSOR. Front hub & wheel bearing, MX5 mk3. New front hub and wheel bearing assembly, Mazda MX-5 mk3 (NC), all models, 2005 on. Complete with new wheel studs. Note this has 5 studs and will not fit earlier models. MAZDA 6 Station Wagon (GY) 2.0 DI. MAZDA 6 Station Wagon (GY) 2.0. MAZDA 6 Station Wagon (GY) 2.3 AWD. MAZDA 6 Station Wagon (GY) 1.8. MAZDA 6 Station Wagon (GY) 2.3. AB31 TO AB56, ON, BT, GY, HS, IM, IV, JE, KW, PA20 TO PA78 AND ON. THIS IS A OE MATCHING QUALITY BEARING. You are obliged to take reasonable care of the item. We will work to resolve any issues and assist in anyway that we can.